Do you need to be a CPC before pursuing a specialty certification? I have not taken the CPC exam yet, but was wondering if I should go for a specialty certification instead. 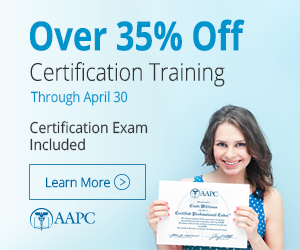 Do you need to be a CPC before you can test for a specialty certification? I am a medical bill reviewer of workers comp claims, and the coders at our company do coding logic review primarily focusing on E&M services. I feel I might have a better chance at passing a specialty exam instead of the CPC exam which covers a much larger span of coding. I do know the CEMC exam is extremely detailed and difficult. Though I do not actually code in my position, I do see many E&M bills on a daily basis and am somewhat familiar with the E&M codes. It also seems that many coders at third party administrator companies for workers comp focus more on E&M codes, but I could be wrong about that. The rules recently changed and no, you do not have to be a CPC first. However, please read up under the "Certification" tab at the AAPC homepage to ensure you understand the level of difficulty in taking any of the specialty exams. Good luck to you, regardless of you choice. I agree with Kevin. At the very least, purchase the E/M practice exam which closely mimics the real exam. You may want to purchase the practicum too. Study up on the 95 and 97 documentation guidelines and find a good audit sheet. CPC exam was much easier than the E/M exam. Both are not joke, but E/M was brutal. Good Luck! You do not need to be CPC certified first. I got my CPC first and am taking my CIRCC this weekend. Several people asked why I didn't take the CIRCC first since I was an interventional tech for 20 yrs. From my experience, I am very glad I did the CPC first. It gives you a real good idea of how the exams are set up and what to expect. The specialty exams are generally much harder than the CPC and unfortunately are the same time length versus longer which makes time management even more critical, which is why so many fail these exams the first time. According to the AAPC website, they recommend minimum two years experience. These exams are extremely hard. You may want to purchase the praticum for the specialty you are interested in. That may give you an idea if you are ready for a specialty exam.